I have been living in the USA since the last 15 years and have been active in the running community where I live (Folsom, California — 100 miles East of San Francisco). My wife and I are both runners and have completed over a dozen half marathons. We train beginners who are interested in running. 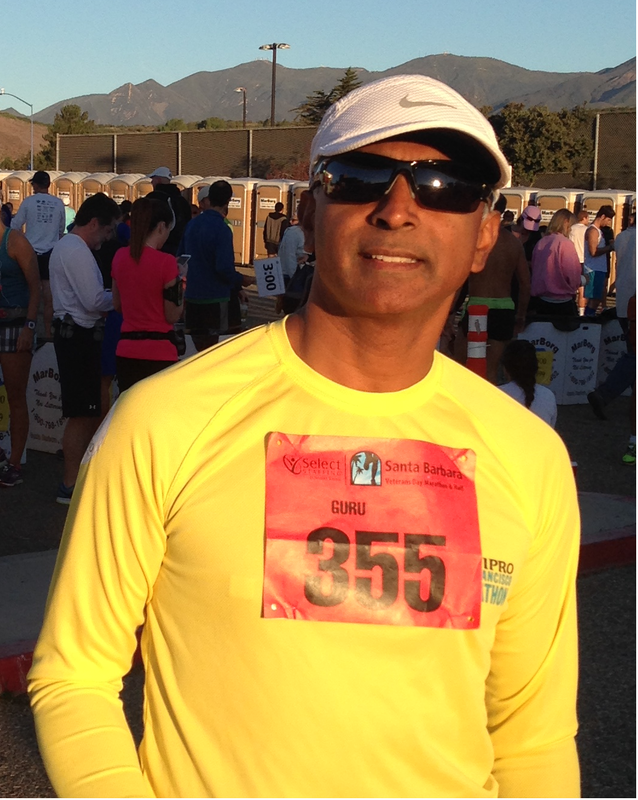 Having completed several half marathons, I got motivated to run further and attempted a full marathon. San Francisco Marathon in July 2014 was my first full and once done, like we all do, I got addicted to running full marathons. I have completed 3 FMs (including Bengaluru Marathon for which I came all the way from US to be part of the first edition. I was born and raised in Bangalore, so I wanted to be part of the first edition of what was happening in my hometown) and I am in the process of completing 4 more before February 2015. I am also running an ultra in April 2015 in the USA called American River 50 which is from Auburn, CA to Sacramento, CA. My ultimate goal is to attempt a 100 miler in 2016. I enjoy travelling, hiking and adventurous trips. During my recent visit to India I met Jagdish and was motivated by the RIM initiative. I volunteered to be a part of the Mera Terrah Run and to travel with the team to run and support them on their journey. I have set a fund raising goal of INR 1,25,000 and actively working through my network to help raise money for a good cause. Guru exceeded his fund raising goal and raised INR 1,44,401!! !